GAINESVILLE — Rochelle DuBrule of Crossman & Company, one of the largest retail leasing, investment sales and management firms in the Southeast, recently negotiated a long-term lease at University Towne Center, which is located at 3265 SW 34th St. in Gainesville. DuBrule represented the landlord during the lease negotiation. 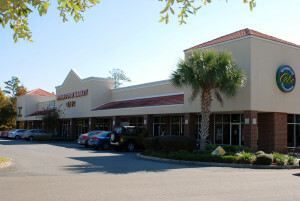 University Towne Center, which is situated at the intersection of 34th Street and Archer in the busiest retail corridor in Gainesville, includes tenants such as YouFit, EarthFare, Peach Valley, Carrabba’s and Tropical Smoothie. World of Beer, a craft beer tavern offering beers from around the world, is the new tenant who leased the 5,200 square foot unit at the center. “World of Beer has an outside patio and live musical performances on weekends,” DuBrule said. Jason Hurst of Front Street represented the tenant in the transaction.